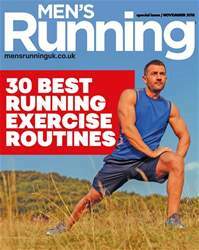 Digital Subscriptions > Men's Running > November 2018 > SMASH THE OBSTACLES! Perform the six exercises as a circuit. Aim to do each exercise for one minute with 20 seconds rest in between. After completing the circuit, rest for two minutes before completing it again. Repeat the circuit two to three times.